Cybersecurity risks are growing in frequency and scale. At $600 billion, the global cost of cybercrime has reached 0.8% of the world’s GDP, according to a 2018 McAfee report. Attacks against businesses have nearly doubled in the last 5 years, according to WEF. UK Government’s latest Cyber Governance Health Check report shows that only 16% of FTSE 350 businesses have a “comprehensive understanding” of the potential disruption and monetary impact a cybersecurity attack may have. According to a recent report by Avast, 55% of all programs installed worldwide are out of date. Many outdated applications contain vulnerabilities, and should be updated immediately for security reasons. In the words of Ginni Rommety, the CEO of IBM, “Cyber Crime Is The Greatest Threat To Every Company In The World”. Cybersecurity as a topic is thriving, and so is the RSA Conference, the world’s biggest cybersecurity conference held in San Francisco from the 4th to the 8th of March. RSA 2019 gathers the brightest cybersecurity minds and experts for a week full of compelling keynotes and sessions. Hundreds of brands showcase their latest achievements within the highly competitive market of cybersecurity innovation. State-of-the-art security tools, the smartest privacy protection algorithms, and the best ways to outwit cybercriminals are front of mind for any cybersecurity conference, and RSA 2019 is no exception. Aside from the latest and greatest in the world of cybersecurity, RSA 2019 focused on diversity and inclusion, with a variety of keynotes and initiatives, including the She Speaks Security forum. 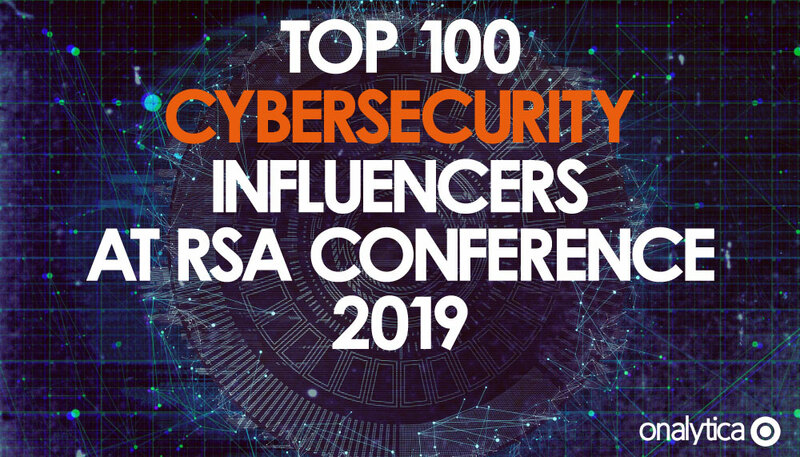 In order to understand the influencer network of the Twitter conversation powered by 42,000 attendees, 700 speakers, 650 exhibitions, 17 keynotes, and 550 sessions, we analysed 128.9K posts from 4th to 8th of March on the RSA conference, and identified top 100 most influential cybersecurity professionals. What we found is a diverse, actively engaged influencer community, with the top influencer, Microsoft Cybersecurity CTO Diana Kelley at its core. The influencer map below was created with our Influencer Relationship Management software (IRM). 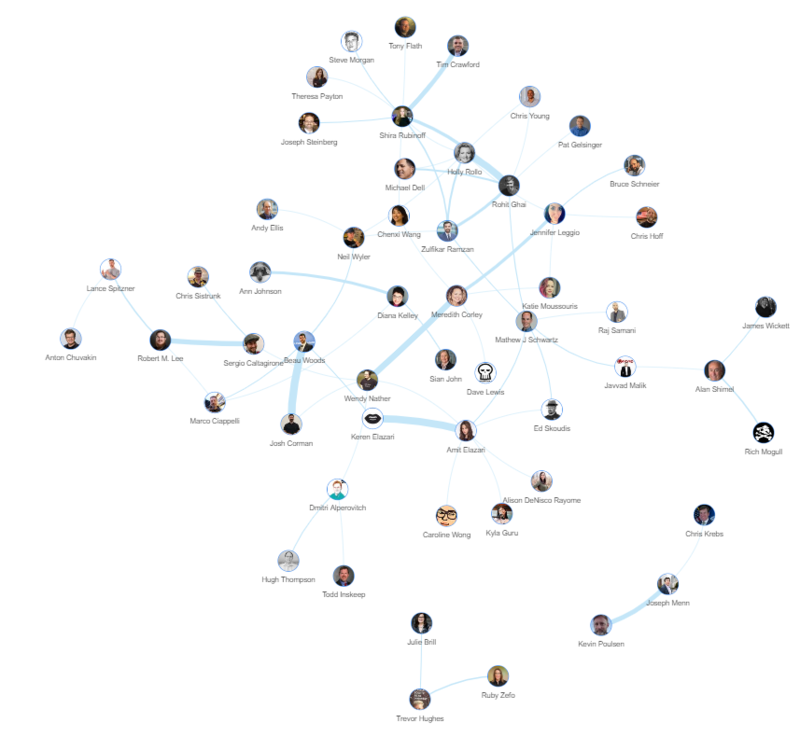 We looked at all the individuals engaging on Twitter to bring you a list of the top influencers in cybersecurity. Below is the top 50, if you want to see who ranks from 50-100 be sure to download the full report by clicking the download button below. Inga is passionate about in-depth insights and analytics, determined to solve complex data and insights problems, using data to answer the difficult “So what?” question, and advising clients on the best data-fuelled PR strategies. 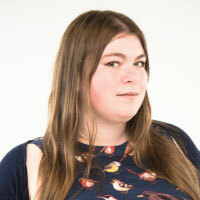 Prior to Onalytica Inga worked as a Head Media Analyst for Cision UK, keeping a close eye on media reputation of top technology and consumer brands.